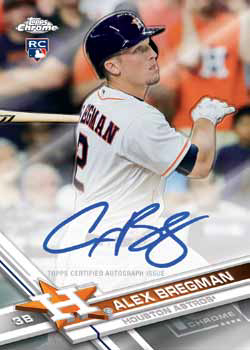 2017 Topps Chrome Baseball fills that chromium space for collectors who prefer major leaguers versus the large prospect focus that Bowman sets feature. Refractors are back in a full rainbow of colors. Multiple autographs — mostly rookies — are in both hobby boxes and JUMBO boxes, and a few new inserts have been thrown in as well. 2017 Topps Chrome Baseball regular hobby boxes come with two autographs while JUMBO have five total signed cards and the promise of a Refractor in every pack. The base set takes top players from 2017 Topps Series 1 and Series 2 and gives it a chromium finish. And then there are the Refractors — lots of them. It starts with the regular Refractors that simply shift from a metallic background to one with a rainbow reflection. Serial-numbered color Refractors include Purple, Blue, Green, Blue Wave, Gold, Orange (/25), Red (/5) and Superfractors (1/1). Blue Wave Refractors are only in hobby and hobby jumbo packs. Orange Refractors are hobby exclusives and not in retail or jumbo. 2017 Topps Chrome Baseball base cards have a couple more Refractors as well, Pulsar and limited Negative Refractors. Base cards also have one-of-one Printing Plates. Bowman highlights prospect autographs from players often a few years before the make their MLB debut. That is, if they ever make it to the big leagues. 2017 Topps Chrome Rookies Autographs wait until they have made it. So while they may not be the first signed cards most players have, for signature collectors, there isn’t the wait time or risk either. These cards have the official Topps RC designation. These are signed on-card. Like base cards, there are lots of Refractors parallels. All Rookie Autographs come numbered, including base versions. Other colors and patterns include Purple, Blue, Blue Wave (hobby and hobby jumbo only), Gold, Orange (/25, hobby only), Red (/5), Printing Plates (1/1) and one-of-one Superfractors, which are exclusive to hobby and hobby jumbo. Sticking with the young player theme, although not quite rookies, are Sophomore Stat Lines Autographs. 2017 Topps Chrome Baseball inserts are a mix of chrome versions of flagship inserts and new ones. 1987 Topps Baseball gets another nod here. Already being done as a regular insert in Series 1 and Series 2, there are also the patterned 1987 Topps Chrome cards found in bonus Series 1 silver packs. Inserts here take a more traditional Chrome approach. 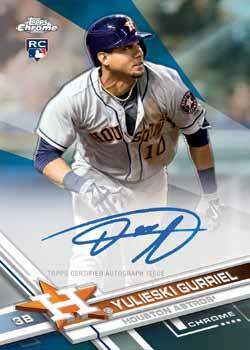 Select players also have autographed versions with on-card signatures. Bowman Then & Now comes over from flagship Topps Baseball as well. These pair up an image of the player’s first Bowman card with a current shot. New MLB Award Winners are case hits. 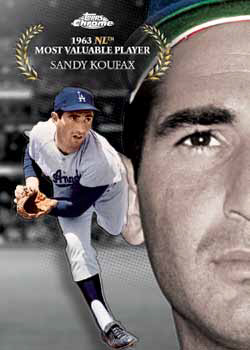 The checklist goes back in time to showcase various players who took home major awards. Some of these also come signed. 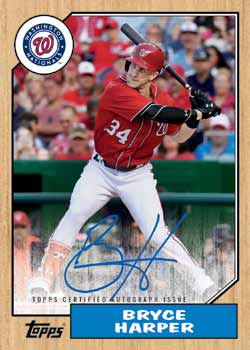 Other new inserts in 2017 Topps Chrome Baseball include Future Stars and new Freshman Flash cards. This being Chrome, even the inserts have Refractors. These come in Orange (/25), Red (/5) and Superfractors (1/1). Here are the 50 players with Rookie Cards included in the base set.